Azami-Kai Aikido under the direction of Neil Blacknell, 5th dan, with dojos in Edinburgh, Glasgow, St. Andrews and Paisley. Neil Blacknell began Aikido in 1983. In 1984, he moved to Japan, where he remained for 14 years, to study at the World Aikido Headquarters, Hombu dojo. Blacknell Sensei received his 3rd dan from the Second Doshu, Kisshomaru Ueshiba, and his 5th dan from the current Doshu, Moriteru Ueshiba. Since 1999, he has lived in Edinburgh, where he founded Azami-Kai in 2003. Neil regularly visits Japan to continue his studies. The dojo is at Woodside Hall, Glenfarg St, Glasgow, G20 7QE. 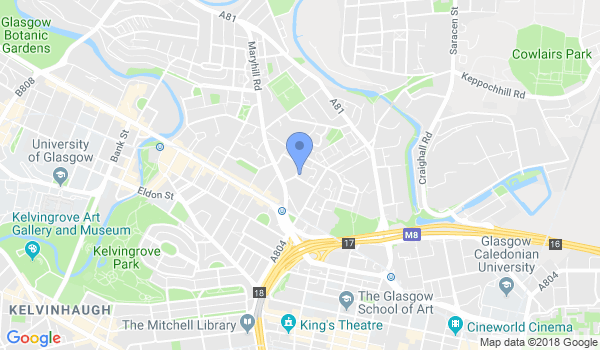 Would you like more information on hours, classes and programs available at Glasgow Aikikai (Azami-Kai Aikido)? Please contact the school with your questions. Update the details, Write a Review or Report Error of Glasgow Aikikai (Azami-Kai Aikido).